Who doesn't Love a Deal! Stock up now on Grab-N-Go Hand Warmers. 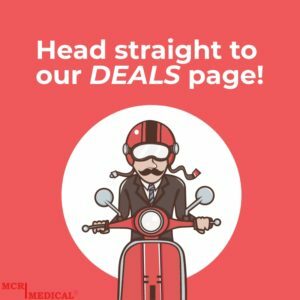 MCR Medical Blog » Who Doesn’t Love a 50% OFF DEAL? With the support of all of our great customers we are bursting at the seams in our warehouse. This means we need to move out some products to add more great items such as our Grab-N-Go Dry Emergency Rain Ponchos, Prestan Manikins and more! The ‘more’ means sensational new products like our manikin vests. These vests are custom fitted for Prestan adult manikins but can be used for other brands as well. Our Mani-Vest is truly an original design that will have your CPR training looking polished and professional. With a dynamic red color and easy zipper these will certainly be something all instructors will want. If you haven’t visited our ‘Deals’ page, this is a great time check it out. Right now we have great sales on another MCR Medical original product, the CarryAll Wheeled CPR Manikin Bag. You also will find items like pocket resuscitator masks and CPR training valves. And of course the incredible deal on our Grab-N-Go Warm Hand Warmers.